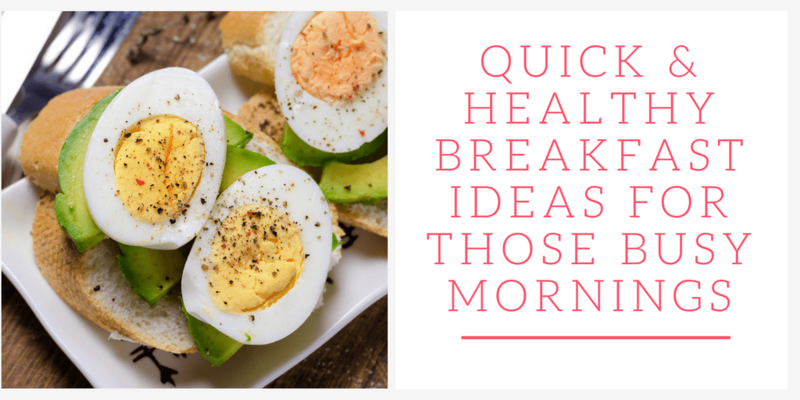 Inside: From quick smoothies to eggs and greens, these healthy breakfast ideas will help you start your morning off on the right foot. You’ve heard “breakfast is the most important meal of the day” for probably your entire life, and they weren’t joking. Breakfast kicks off your day with a burst of energy, and what you have at breakfast determines that amount of energy. Nothing? You’ll crash. Just coffee? You’ll crash. Toast, eggs, and yogurt? You’ll be a lot better off. However, not everyone (and by that, I mean almost no one) has time to create a nice breakfast every morning. However, not everyone (and by that, I mean almost no one) has time to create a nice breakfast every morning. You need quick and you want healthy. Now, let’s define quick first off…When I say quick, I don’t mean as quick as pouring a bowl of cereal. I do mean it won’t take as long as flipping pancakes. You get the idea. Here are 7 healthy breakfast ideas for those crazy busy mornings. Looking for a healthy breakfast to keep you full? Look no further than the eggs and greens, with sautéed spinach and Swiss chard with two eggs in the middle. Super easy, super healthy. What more could you ask for? Two pieces of toast with mashed avocado and sunny side up eggs? Yes, please! This breakfast provides a great amount of protein and healthy fat. You could also top the avocado toast with boiled eggs that have already been prepped. That takes one cooking step out of the equation. Could it get easier than this? Almond butter and granola in the middle of two apple slices. These are super easy to make, only requiring 5 minutes of prep and make time, and you can choose your favorite apple and flavored granola. You really cannot go wrong with a smoothie (especially if it has chocolate). This sweet smoothie tastes like a milkshake, but it’s actually quite good for you. It’s packed with bananas, Greek yogurt, almond milk, and just a bit of chocolate for your sweet tooth. This might be the easiest recipe of them all. You make it, let it soak overnight, and when the morning comes, just grab and go. No hectic morning prep time! This pudding includes chia seeds, which are packed with antioxidants, fiber, omega-3s. These no-bake bites are delicious and healthy and take almost no time to make. Peanut butter adds protein, flax seeds and old fashioned oats for fiber, and you can even substitute dark chocolate chips for milk chocolate chips for a source of antioxidants. This breakfast bowl is so easy to make and an excellent source of protein. You just throw the yogurt, banana, and granola in the bowl and drizzle honey on top. Easy, delicious, and easy to transport (Thanks, Tupperware). Did you enjoy these healthy breakfast ideas? Pin it to save for later so you can easily find these recipes later. These are all such great ideas! Perfect for getting me out of my breakfast rut ! I love this list! I’ve been trying to come up with new ideas for breakfast. I’m glad I came across this list. My vote goes for Avocado Toast with Egg. 🙂 Thanks for all the suggestions. 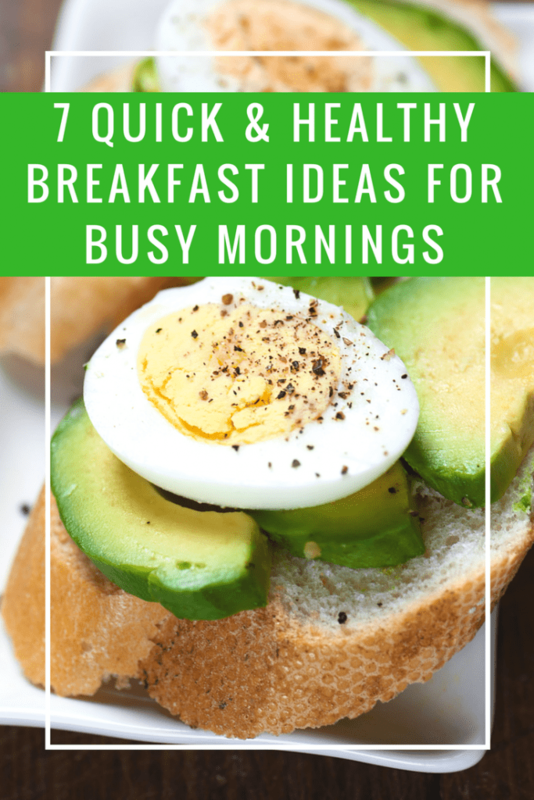 Love all these ideas- in fact these are some of my favorite breakfasts! Eggs and greens is my go-to daily breakfast. I usually accompany eggs with spinach and love it. Avocado toast is my weekend treat and it is as healthy as it is delicious. These are great options for a healthy breakfast!! Ooh so many yummy choices!! I love the apple sandwiches idea!